“Do not keep your arm here, it will harm you. You will lose alignment.” A very common statement made in yoga classes by yoga teachers. What is this alignment? Is it really that you will hurt yourself? What decides if my alignment is wrong or right? First we need to focus as to why we practice yoga poses or asanas? The purpose is to maintain health of all our muscles, joints and internal organs. Stretching these parts within their limits and slowly building strength and flexibility is the purpose of yoga poses or asanas. Naturally different muscles and joints in the body are designed to operate under different workloads and level of flexibility. Different muscles have different level of strengths. For example wrists are not designed to carry the weight of body all the time, ankles are doing this job. Neck is designed to carry the weight of our head and not the whole body weight always. Similarly lower back is designed to carry the entire weight of our upper body. It can bend forward, backwards, sideways and can twist as well. Some muscles and joints are more flexible than others. Everyone has different proportionate length of various body parts. So we should keep in mind that no two people can do a yoga pose in exactly the same way. This is a well known anatomical reality. So a pose that I can do, other person will do it little differently or his / her pose will look different than my pose. Many times yoga teachers have certain fixed ideas of how a yoga pose should look and then they try and enforce it to students who do not have the same body. Basic alignment is important in yoga poses as it will maximise the benefits of the pose. It will increase the strength & flexibility without causing any pain, discomfort or injury. Basic principles of various Asanas should be remembered while aligning in to the pose. It is important to remember the focus & purpose of asana. For example, while doing forward bends, one needs to keep the back as straight as possible and bend from waist, and not to hunch as the middle and upper back is not as flexible as waist joint. In back bends, one should be careful of the amount of stress that is put on the weaker part of the back especially lower back and neck. In twists, it is important to keep the spine erect and not bend to side. 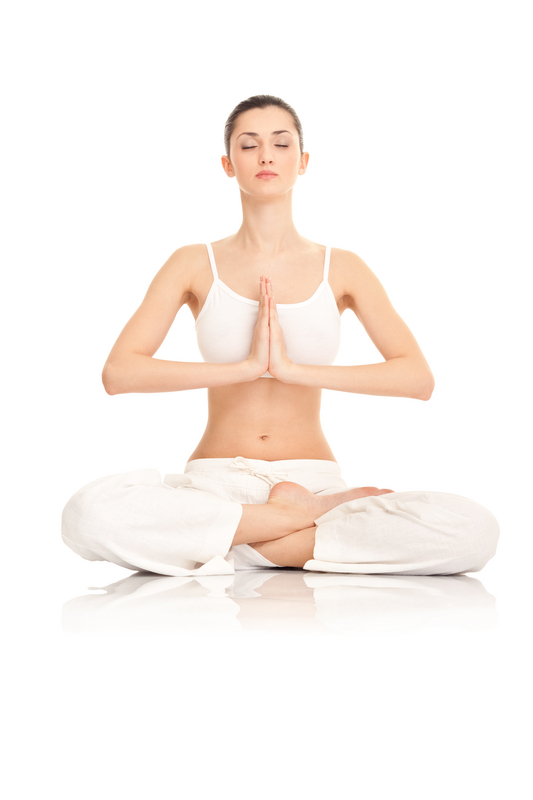 In standing poses, it is important to become aware of the stress, which is put on the knees. In balancing poses, it is important not to lose the balance and fall. We should take care of not overstretching the joints. Generally knees, ankles, wrists, elbows, shoulders, neck and waist joints are more likely to suffer because of improper alignment. Sometimes students keep stretching themselves to the maximum limits in asana, which causes micro tear to the ligaments, and over a period of time the injury becomes serious. If we are careful with these joints and not overstretching the muscles, it is easy to avoid pain and maximise the benefits of asanas. So if one shifts the leg little here or there does not make much difference as long as he/she is not causing the overstraining the part or causing fatigue and /or pain. Another very important principle, that we follow in cardiac exercise is we calculate maximum heart rate (220 – your age) and then about 70% of the maximum is reached during cardiac exercise. It is not advisable to reach maximum heart rate during workout. Similar principle applies to Yoga poses or asanas. Once we should see the maximum stretching we can do in a particular asana and then always practice 70% of the maximum posture. This will surely strengthen the body, make it more flexible and avoid injuries. Many a times, rigid ideas of teachers about alignment cause more pain and injuries than not really paying attention to small corrections. Many people drop out of yoga classes because of pain caused by wrong understanding of alignment by teachers. If the person listens to his body and understands his / her limits then the pain and injuries can easily be avoided. It is always recommended by all wise men to let everyone try a yoga pose at his / her own pace, strength and flexibility than pushing him / her in to the pose in the name of alignment. Human body is a miracle; you can build great strength overtime by stretching it just within its limits but without causing pain and injury. Even if you make a little mistake in the asana and if it is not causing any pain or micro tear in ligaments, muscles and joints then it will strengthen your body. The karate people slowly make their body stronger and they can even break rocks with bear hands after a long training. So Body has the ability to build the strength but we need to use it within the limits. Also this cannot be done in few days but we must allow at least 6 months before the body builds the strength. Is there anything called a ‘perfect body’? Yogic texts do not talk much about perfect body but instead talk about ‘perfect mind’. Asanas play an important role in developing acceptance of our body and encouraging us to achieve healthy and strong body. This is more important than actually concentrating on how attractive and perfect the body looks in the mirror.